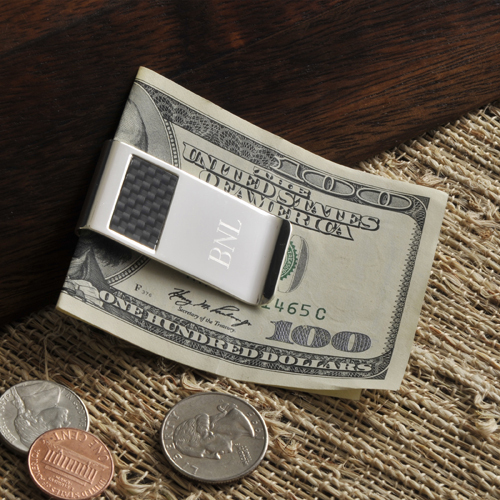 * Not your ordinary money clip! * Our handsome silver-plated, carbon fiber personalized clip includes an elegant carbon fiber accent above the recipient's initials. * Good for everyday use or when there's no room for a bulky wallet. * A great personalized gift to say "Thank You" or "You're the Greatest." * Measures 2 1/8" x 1" x 1/4". * Personalize with 2 lines up of up to 12 characters per line. 2.125" x 1" x 0.25"